Mr. Herbert Jackson McBrayer, 98, of Wilmore, Kentucky formerly of Elliottville, passed away Friday, November 16, 2018 in the Thomson-Hood Veterans Center in Wilmore. He was born on June 23, 1920 in Hamm, Kentucky, a son of the late Charles Henry McBrayer and Mary Elizabeth Johnson McBrayer. Herbert served his country during World War II in the United States Army Air Corps. He was in the China Burma India Campaign and received the American Theater, Asiatic-Pacific W/2 Bronze Stars, Good Conduct, Distinguished Unit Badge, and Victory Medal. He achieved the rank of Corporal. After the war, he was a farmer and raised sheep for many years. After he left the farm, he worked many occupations. Herbert enjoyed drawing and painting, reading, and he loved bluegrass and country music. 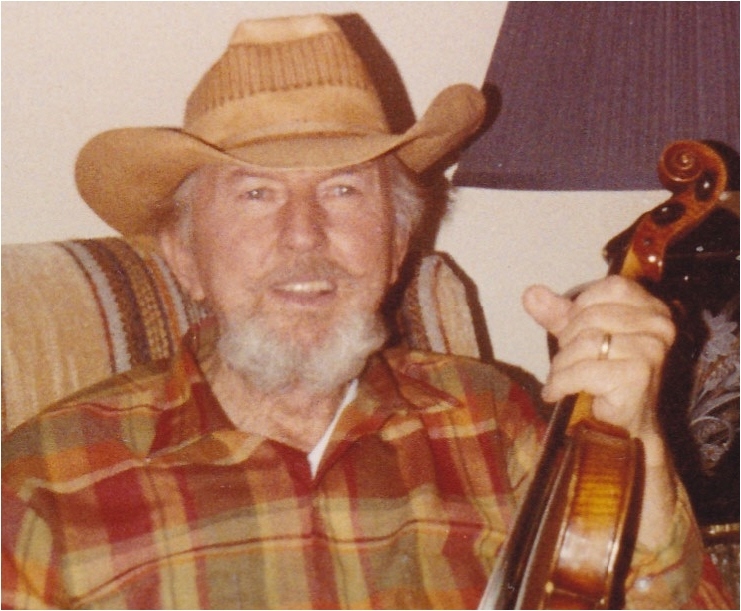 He was an accomplished musician playing the guitar, banjo, and fiddle. In addition to his parents, he was preceded in death by his wife, Louise McBrayer, sisters, Irene Sargent and Thelma Bradley and brothers, Beecher McBrayer, Bert McBrayer and Earl McBrayer. Survivors include a host of nieces, nephews, other relatives and friends. Funeral services will be conducted at 1:00 P.M. Monday, November 19, 2018 in the chapel of the Michael R. Gray Funeral Home in Morehead with Rev. Tim Rhodes officiating. Burial will follow in the McBrayer Cemetery. Full military rites will be conducted at the graveside by the Corbie Ellington American Legion Post No. 126. Visitation is after 11:00 A.M. Monday at the funeral home.